Palliative care – is it just for the terminally ill? Dr Grace Yang, Consultant, Division of Supportive and Palliative Care at National Cancer Centre Singapore, addresses the facts and myths surrounding cancer survivorship, supportive and palliative care. ​from the Division of Supportive and Palliative Care at National Cancer Centre Singapore, about the facts and myths surrounding cancer survivorship, supportive and palliative care. What is palliative care? Is it only for the terminally ill? With an ageing population, and advancements in cancer detection and treatments, an increasing number of cancer survivors and patients with advanced cancers are now living longer than in the past. These patients may face a myriad of physical, emotional, and psychosocial issues related to the cancer itself and its treatment, which can potentially compromise their quality of life, if not addressed. 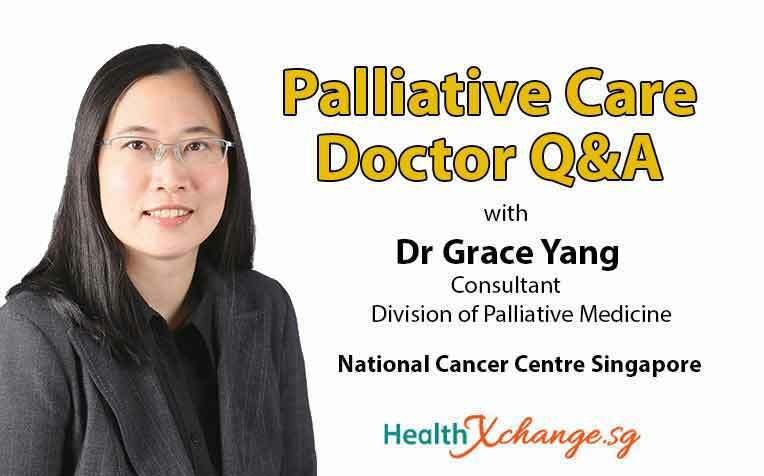 Ask Dr Grace Yang, Consultant, Division of Supportive and Palliative Care at National Cancer Centre Singapore (NCCS), a member of the SingHealth group, all about the facts and myths surrounding cancer survivorship, supportive and palliative care. Dr Grace Yang graduated from University of Cambridge in 2005 and obtained MRCP (UK) in 2008. She completed her specialist training in Palliative Medicine in National Cancer Centre Singapore (NCCS) in January 2014 and joined NCCS, where she is now a Consultant. She is a Fellow of the Academy of Medicine, Singapore. Alongside clinical work, Dr Grace Yang is also actively pursuing research and is currently involved in projects on spirituality, quality of life and health services research.